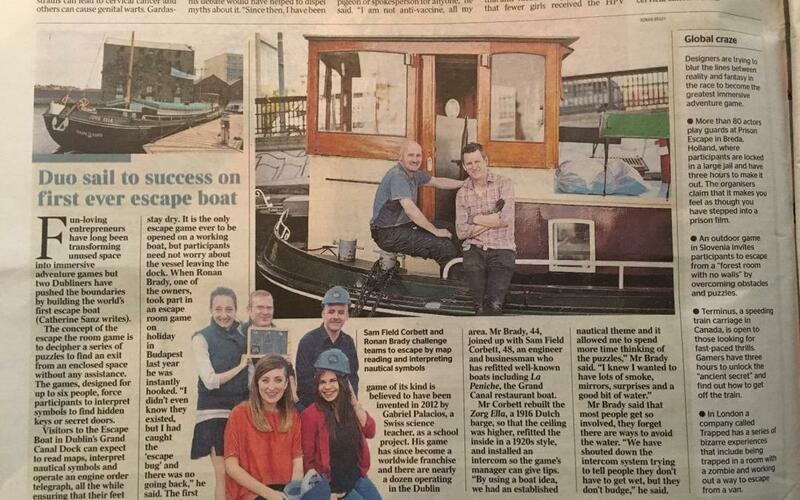 Escape Boats has featured in a wide range of media and publications since we launched last year. We’ve listed the them below if you’re interested in a read. If you are from a publication or media outlet and want to do a feature on Escape Boats, Dublin Escape Rooms, Ireland Escape Rooms or anything to do with Escape Rooms in general, contact us on info@escapeboats.ie and we’d be more than happy to help.